Online retail giant Amazon has taken its recent move into producing content for their own platforms in a new and fascinating direction this week. 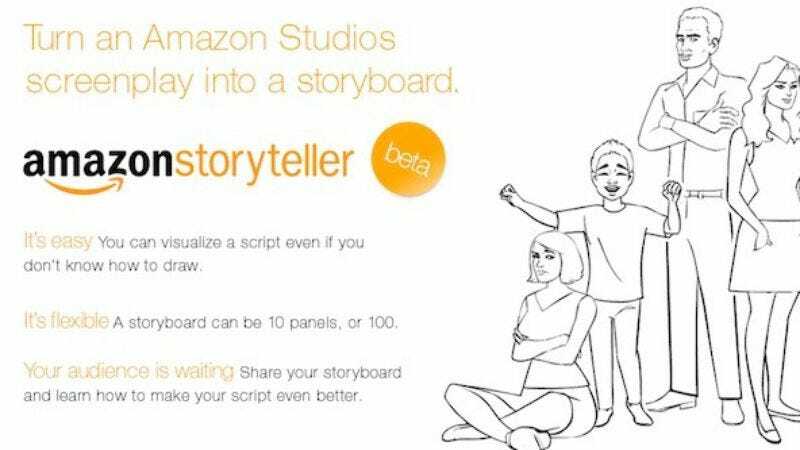 The company's Amazon Studios arm has released Amazon Storyteller, a free online service that takes a screenplay, automatically susses out characters and scene descriptions, and then builds storyboards from a library of illustrations and photos that can be fine-tuned later. The user can then publish their finished storyboard, which Amazon has an automatic option to buy within 45 days. Some aspiring writers will read this and think "Amazon's going to option my script!" while some will think "Amazon is going to steal my script!" But in fact, Amazon is most likely going to ignore your script, because really, no one cares what happened to a thinly veiled version of you as a teenager, and your third act really doesn't come together.